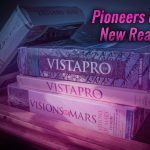 There’s a lot of lore surrounding the early days of Amiga Inc. under the lead of Jay Miner. 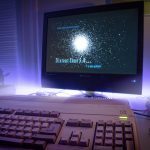 The detailed and engaging documentary “From Bedrooms to Billions – The Amiga Years” illustrated the efforts and creativity that the creators of the Amiga computer went too; but as the documentary pointed out, the Amiga was not the only creation to come from the labs of Jay Miner. To keep products going out the door and to keep the lights on, Amiga Inc. developed the Joyboard for the Atari 2600. A game controller that for it’s time, was a very forward looking piece of kit, think Wii Fit, only 33 years ago. 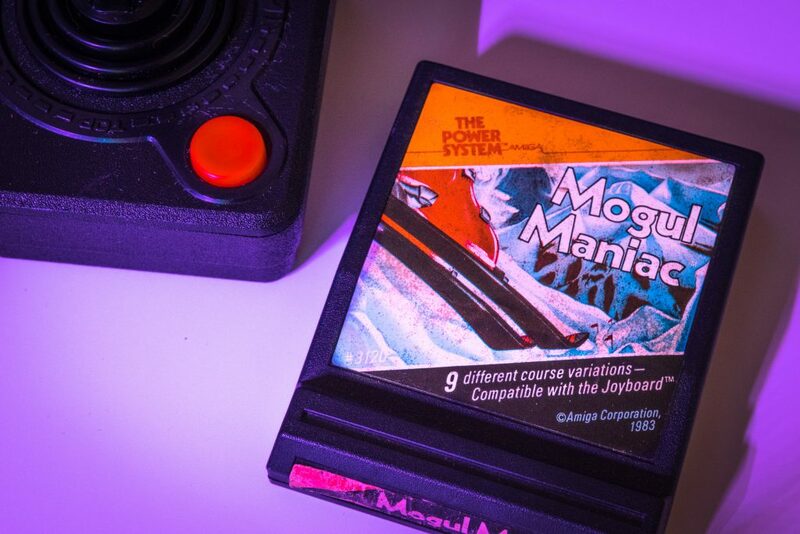 To accompany the release of the Joyboard and to demonstrate it’s capabilities, Amiga Inc. developed the ski title, “Mogul Manic”. This week I added Mogul Manic to the Atari collection, but alias without the Joyboard hardware. Fortunately the game is also compatible with a standard joystick. To get started, after plugging the cartridge in and powering on, choose your difficultly level from 1 to 9 by flicking the Game Select Lever. Then push down the Game Reset Lever to start, the timer will start once you push forward on the joystick. The concept of the game is fairly simple, it’s a downhill slalom ski run and as mentioned, difficultly levels range from 1 to 9. Level 1 goes at snails pace, while 9 is an intense downhill ride; the goal is to pass through all the gates on the way to the bottom of the mountain, in the best possible time. The visuals are simple, as you would expect for an Atari 2600 game released in 1983. There are however a few notable features that are visually pleasing; first are the background mountains that have a perfectly timed parallax motion and provide a great sense of scale and sideways motion. The other is the field of range when you ski off course and encounter trees, quickly moving toward you. Mogul Manic is a simple yet well executed game and not a title that I would normally shell out cash for. 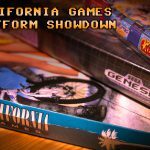 What makes this game notable is the history surrounding it. 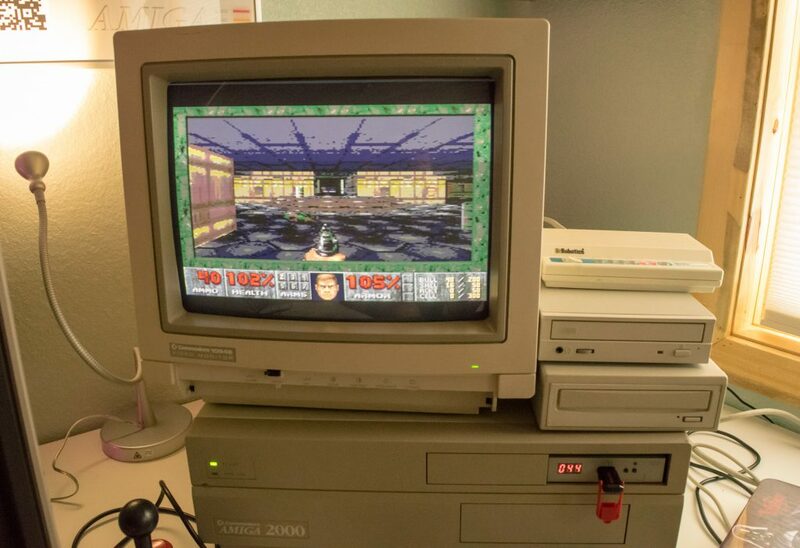 The contextual story the game provides around the people and organization that designed and built the Amiga computer, is a small but important piece in the Amiga saga. 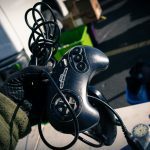 As the story goes, while the team were designing the Amiga, the Joyboard was employed as a method of stress relief when a system bug was encountered. The goal was to sit perfectly still on the Joyboard, in such a way that the switches were not pressed. Funnily enough this pose, the “Guru Meditation”, was later used as an error message displayed to the user when the system crashed. The humor and personality of the Amiga stills remains unmatched. Unfortunately, I was unable to find the games developer credits anywhere online, if someone does know who the programmers behind it where, please do drop me a line.